Dr. Alex Vahrmeijer’s team in Leiden publishes first results of the clinical use of SGM-101. 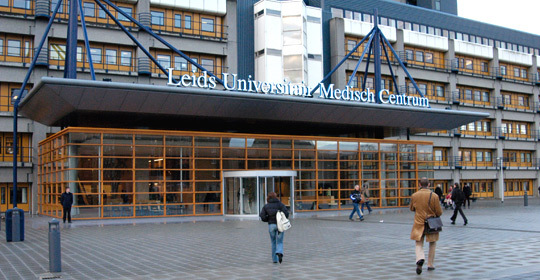 Montpellier, France 31st Jan 2018 – SurgiMab is very proud to announce that Dr. Alex Vahrmeijer’s team in Leiden University Medical Center (LUMC) published their clinical results in the Lancet Gastroenterology & Hepatology after using SGM-101 in patients undergoing surgery for colorectal cancer. The study demonstrates the safety of SGM-101 and shows it can influence clinical decision making during the surgical procedure for patients with colorectal cancer. This publication illustrates an extremely important part of the work that has been done by SurgiMab to prepare the phase III clinical trial that is currently in preparation. Click here to get to the abstract of the article. SurgiMab sponsors the Molecular Guided Surgery conference that will take place during the SPIE Photonics West in San Francisco, 27-28 Jan 2018. Montpellier, France Jan 2018 – SurgiMab is proud to be a sponsor of the Molecular Guided Surgery conference that will take place during the SPIE Photonics West Meeting on Saturday 27 and Sunday 28 January, 2018. The conference will gather together the best specialists of Molecules, Devices and Applications. Results will be presented for our SGM-101 compound in colorectal cancer surgery. Come and meet us there! Click here for the detailed program of the conference. 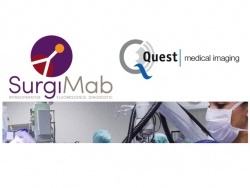 SurgiMab and Quest Medical Imaging enter a Collaboration Agreement for the 1st Phase III multicenter clinical trial on Fluorescence Guided Surgery for Digestive Cancers. Montpellier, France and Mid­den­meer, Holland – 18 sept 2017 – SurgiMab and Quest Medical Imaging, a leader in the market for multispectral cameras, announced today that they have entered into a collaboration agreement for the upcoming Phase III clinical trial of Surgimab’s SGM-101 in fluorescent guided colorectal cancer surgery. Under the terms of the agreement, Quest Medical Imaging has received an undisclosed lump sum payment to provide 12 Spectrum™ platforms to the centers that will participate in the Phase III pivotal trial sponsored by SurgiMab. The Quest Spectrum™ Flu­o­res­cence Imag­ing Platform is designed and devel­oped for open and min­i­mally inva­sive flu­o­res­cence image-guided surgery with the capability for multiple wavelengths in a single system. It demonstrated high sensitivity and ease of use in a previous phase I/II clinical trial in conjunction with SGM-101. The preliminary results of this trial have been presented by the clinical teams at the World Molecular Imaging Congress that took place in Philadelphia in September ( http://www.wmis.org/2017-world-molecular-imaging-congress/ ). Click here to get to the complete press release. SurgiMab is an Entrepreneur Sponsor of the first Boston-Paris Biotechnology Summit and as such, we will present our latest clinical developments during the Entrepreneurs Forum. 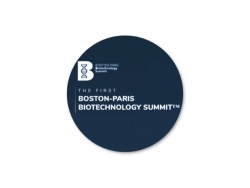 The Boston-Paris Biotechnology Summit is a novel catalyst event aiming to provide facilitative leadership for talents in both cities in order to foster energies and synergies, to spark new projects and to generate funding opportunities. It will bring together biotechnology professionals, investors, experts and stakeholders with a rich program. The event will take place at Institut Pasteur on May 18th, 2017. Come and meet us during the Entrepreneurs Forum! 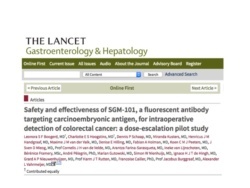 SurgiMab is happy to announce the publication of its manuscript entitled “SGM-101: An innovative near-infrared dye-antibody conjugate that targets CEA for fluorescence-guided surgery” in the peer-reviewed journal Surgical Oncology. This paper describes the Near-Infrared fluorescent CEA-targeting molecule developped by SurgiMab as well as pre-clinical tumor-targeting results in murine tumor models. 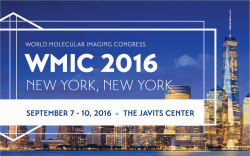 SurgiMab will attend the World Molecular Imaging Congress 2016 in New York, september 7-10. SurgiMab will attend WMIC 2016 : Bérénice Framery, in charge of the company’s internal R&D programs, will be present in New York. You can meet her in particular during the “Optical Surgical Navigation” session on Wednesday, September 7, 2016, from 9:00 to 15:30, Room 1E10, Javits Convention Center, New York. Let’s meet at the Moscone Center in San Francisco, June 6-9 for the BIO International convention! The company presentation will take place in Room 4 on Wednesday the 8th, 5:00 PM during the Oncology session. Françoise Cailler, CEO of the company, will update the audience on the current fundraising and the clinical trials currently in progress. February 13-14th, San Francisco. SurgiMab is happy to be a sponsor of the conference “Molecular-Guided Surgery: Molecules, Devices and Applications II” organised during the SPIE Photonics West congress. SurgiMab is happy to be part of the sponsors for the conference “Molecular Guided Surgery : Molecules, Devices and Applications II”, organized par Brian W. Pogue and Sylvain Gioux as a part of the SPIE photonics West meeting that will take place at the Moscone Center in San Francisco in February 2016. This two-days conference will gather together the best specialists of the domain to discuss a variety of subjects from the development of new contrast agents to their clinical applications. Montpellier, France, February 5th, 2016. SurgiMab announces the launch of a phase I clinical trial program evaluating the safety and performance of its fluorescent conjugate SGM-101 in patients with pancreatic or rectal cancer. SGM-101 is a fluorescent injectable molecule comprised of a tumor-specific monoclonal antibody and a near-infrared emitting fluorochrome. It binds selectively to carcinoembryonic antigen (CEA), a specific marker overexpressed in a number of tumors of epithelial origin including pancreatic and rectal cancer. Cancer cells can then be visualized with a NIR-fluorescence imaging system, allowing oncologic surgeons to improve intraoperative staging and perform more radical cytoreductive surgery. SGM-101 is currently being tested in an ongoing first-in-human trial in Montpellier Cancer Institute. As a first indication the conjugate was tested for the visualization of sub-clinical size tumors during surgical resection of peritoneal carcinomatosis originating from digestive malignancies. With satisfactory preliminary safety results to date, SurgiMab decided to extend its clinical program to pancreatic and rectal cancers, as surgery is the cornerstone of the treatment for these patients. However complete surgical resection, a crucial factor for patient prognosis, is challenging to accomplish, as surgeons have to rely on visual appearance and palpation to discriminate between tumor and normal tissue. Hawaï. SurgiMab is happy to be a sponsor for the one-day Optical Surgical Navigation Seminar organised during WMIC. SurgiMab is happy to be part of the sponsors for the one-day Optical Surgical Navigation Seminar that is organized on september the 2nd during the World Molecular Imaging Congress in Hawaï. SurgiMab will also present its latest results on September 3rd during the WMIC (12h05, room 302 – Emalani Theatre). SurgiMAb develops injectable fluorescent conjugates to be used during Fluorescence-Guided Surgery (FGS) by oncology surgeons so they can clearly delineate tumors and visualize infra-clinical size nodules invisible to their naked eyes.